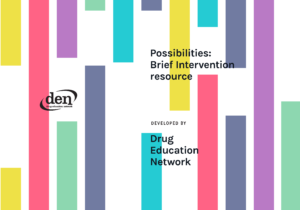 Practitioners tasked with carrying out brief interventions and motivational interviews can use this brief intervention kit to aid in their practice. Possibilities is a set of cards to provide guidance and structure to brief interventions. The cards can assist in examining affirmations and offering reflection and summary in a structured and respectful manner. The structure these cards provide helps users run through brief interventions using the ABC and 5A models. 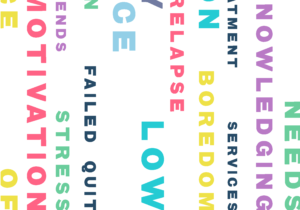 By pairing the Possibilities with the Drug Harm Cards, the worker and client can create a personalised session, helping build their relationship, examine client motivations, and formulate a package of assistance. Possibilities is now available for workers, students, and practitioners! This resource contains 36 “idea” cards, allowing clients and workers to highlight ideas that currently resonate with them. The pack also includes additional reference cards for workers on topics like Brief Interventions, Motivational Interviewing and more. A PDF of the pack is available for preview, and interested individuals can request a copy via our resources page. Click here to visit our Resources page and view the Possibilities, or learn how to request a hard copy. The project was run by James, who worked closely with Volt Design to create an engaging and attractive tool for clients and workers.